Need a short break from Pokemon GO? These alternative GPS / augmented reality games will scratch your itch to 'catch 'em all' and more! To say that games like Pokemon GO have taken the world by storm would still be a massive understatement. To date, millions of people have committed themselves to ‘catching ’em all’. The premise of the game is fairly simple: it makes use of your physical location (via GPS) and combines this with Augmented Reality (AR). This makes the Pokemon you encounter seem to appear ‘in front of you’. In reality, the AR tech is nothing more than superimposing an animated Pikachu (or any other Pokemon) within your camera’s viewfinder. Still, the total effect of the GPS / AR gameplay has been well-received by fans. So, this got us wondering: are there any other games like Pokemon GO out there worth trying? The short answer is ‘yes’! Here are 10 GPS / Augmented Reality games like Pokemon GO that, while slightly different, are bound to please most Pokemon hunters around the globe. Each game needs to make use of GPS features or have an AR aspect to it – ideally (but not necessarily) both. The game will feature an element of collection – these can be resources, treasure or monsters. It must be for mobile devices (e.g. tablet, phone, or portable gaming consoles). This is fairly obvious but something important to keep in mind. All images / videos are copyrighted to their original owners. This post contains iTunes and Amazon affiliate links. Why it’s Similar: Much like Pokemon GO, SpecTrek is all about looking at a map, hunting down a creature, and then using AR to capture it. Why it’s Different: There’s quite a few key differences here. First, you’re capturing ghosts, not Pokemon. Also, SpecTrek isn’t really about collecting many different types of creatures. It is instead more of a timed treasure hunt. You decide how long you want your ‘game’ to be and from there you’ll have specific locations appear on the map. Your job is to then get close to these locations as quickly as possible and use your camera when you’re near enough. Overall: SpecTrek is more of a confined experience than Pokemon GO. You’ll play it for a few minutes, dashing about the place to find as many ghosts as possible, and then repeat the entire process from scratch. You can beat your previous high scores or even turn the whole experience into a group exercise activity. Worth checking out for those looking for more GPS / augmented reality games like Pokemon GO with a Ghostbuster-esque twist. 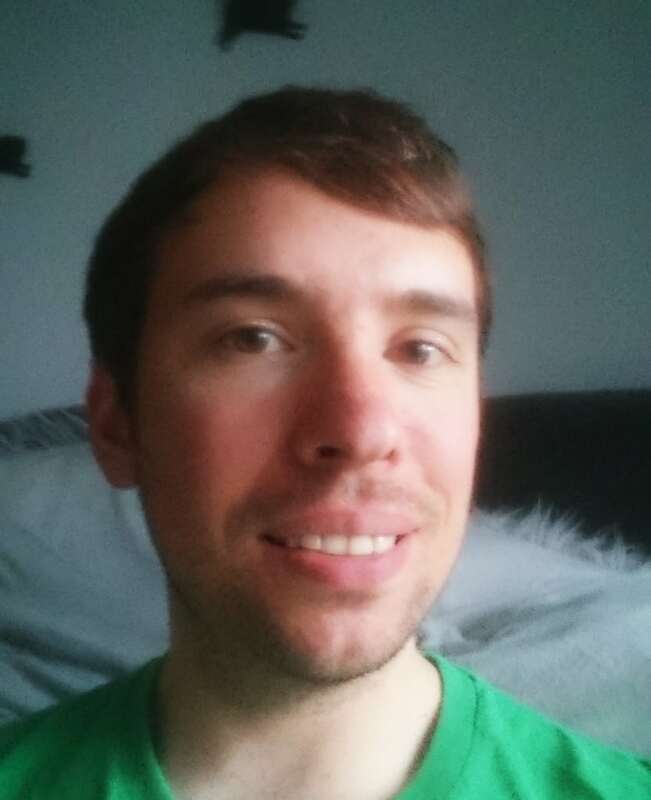 Read more honest player reviews of SpecTrek. Why it’s Similar: Temple Treasure Hunt Game (yes, that’s its full title) has you finding treasure and the guardians that protect it. Similar to most augmented reality games like Pokemon GO, you’ll use Google Maps to get close to the treasure before switching to AR mode to nail the precise location of the jewels, gems, and gold. 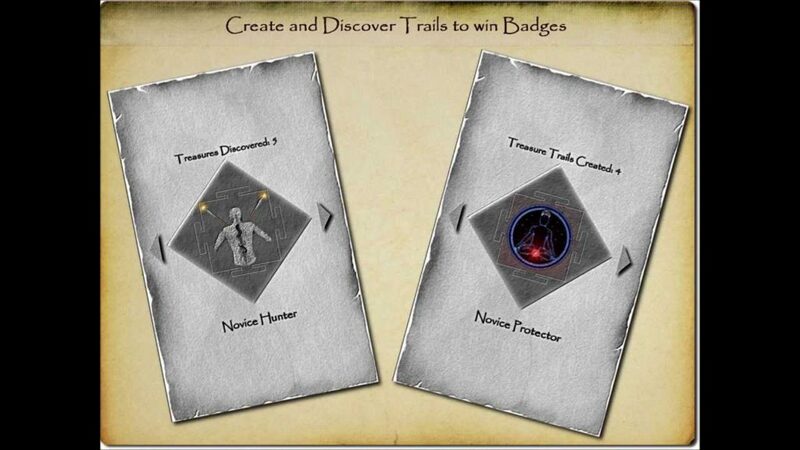 Why it’s Different: Temple Treasure Hunt Game actually has a neat physical element to the virtual hunt. What I mean is that you can print out AR cards to hide around the house, garden, or local park. This allows you to create your own custom hunt where other players can then point the camera at the cards you’ve hidden. It’s pretty great for kids’ parties where you’ll be in full control of item locations, thus keeping everyone safe from dangerous traffic. Overall: A pretty simple app but one that gives total control to the user. Printing and hiding your own AR cards might sound like a pain. However, with a little creativity this can be a solid alternative to aimlessly wandering around looking for a Pidgey. Read more honest player reviews of Temple Treasure Hunt Game. 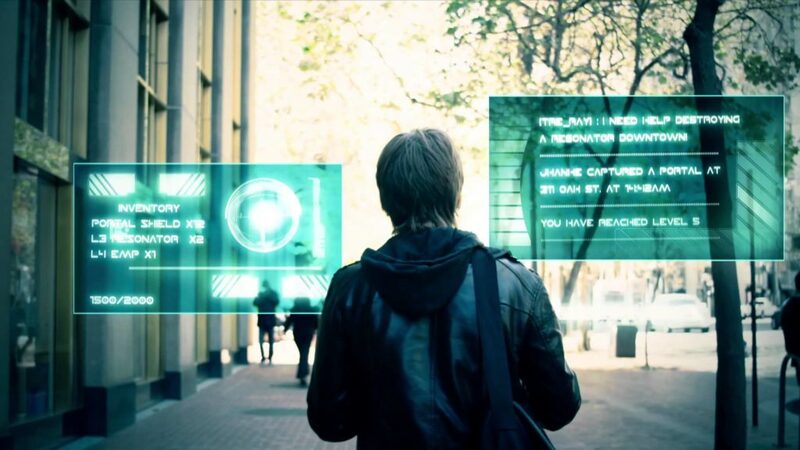 Why it’s Similar: Ingress is all about capturing real-world points of interest. Like most games like Pokemon GO, Ingress asks you to travel to locations and interact with them via mobile devices. However, you won’t be capturing monsters so much as you’ll be claiming entire areas as your own. Why it’s Different: Ingress has you picking a team and acting on their behalf to claim as much global territory as you can. ‘Battles’ consist of spending action points to weaken the enemy’s zone before stealing it from under their noses. You can also spend the same points to upgrade and further protect locations you currently control. Overall: Ingress was made by Niantec, the same people who developed Pokemon GO. It’s thus easy to see how this was the starting point for many of the latter’s key ideas. However, this game’s unique emphasis on territorial conquest is enough reason to give it a go. Read more honest player reviews of Ingress. Why it’s Similar: Resources Game has one major feature in common with Pokemon GO: it’s reliance on your GPS positioning. The game lets you place virtual oil rigs in real-world locations. You’ll then start to build advanced refineries, claim natural resources, and then sell everything in an effort to build your oil empire to be bigger than Shell and BP combined. 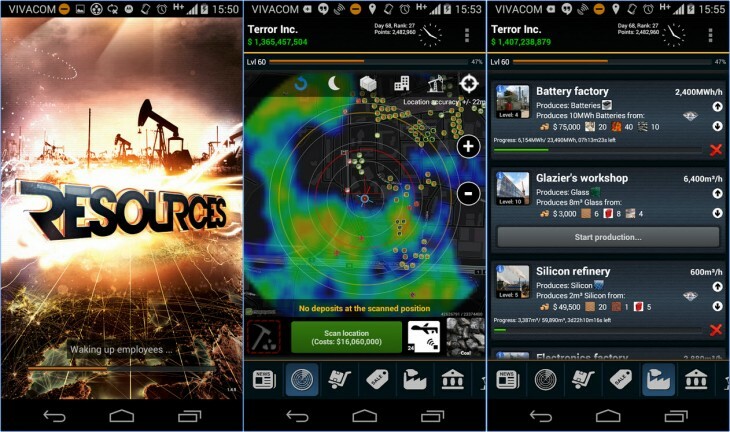 Why it’s Different: Resources Game is much more strategic than Pokemon GO. The game’s got a wonderfully elaborate economic system. It’s thus important to not just collect oil but to sell it at the right time too. As well as claiming and setting up your own wells, you can also spend time sabotaging those of a rival player’s, or even spend money to scan where the next big oil deposit could be. Overall: Considering this game is coded, designed, and supported by only one guy, Resources Game is mighty impressive. There’s a more cerebral competitive approach here compared to Pokemon GO’s GPS gameplay, Strongly recommended for players wanting more games like Pokemon GO that offer deeper tactical levels. Read more honest player reviews of Resources Game. Why it’s Similar: If plundering the Earth of its natural resources isn’t your bag, maybe charging extortionate amounts of money for living accommodation is. 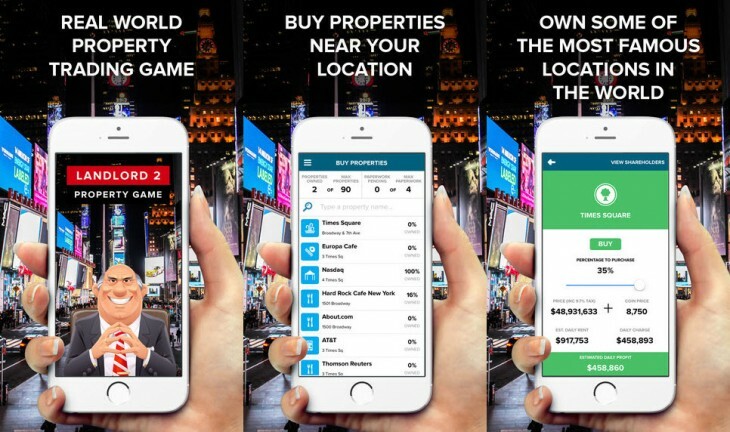 Much like other games like Pokemon GO, Landlord Real Estate Tycoon will have you make your way via GPS to the locations of some virtual prime real estate. The main idea here is that you buy ‘popular’ areas of the globe and the more people visiting them, the more rent you receive. This is a double-edged sword as you have to pay for upkeep on the properties too. So, if you start seeing a fall in traffic, you’d best sell the property to cut your losses. Why it’s Different: Unlike Pokemon GO, Landlord Real Estate Tycoon’s trading system is fully fleshed out. In fact, there’s an entire housing market. This means that you can in theory buy a lovely virtual apartment block in New York all from the comfort of your London flat. It’ll cost you a lot of in-game money, but it’s all part of crushing your opponents through the power of capitalism. Not too different from the real-world, really. Overall: Like Pokemon GO, Landlord Real Estate Tycoon is an interesting gaming take on GPS tech. Tracking the number of people visiting locations is a neat idea, and creating an entire housing market out of virtual properties is mighty impressive. This is definitely a game worth a shot! Read more honest player reviews of Landlord Real Estate Tycoon. Why it’s Similar: With a name like Pokemon Dream Radar, it should be fairly obvious there’s going to be at least some similarities to Pokemon GO. For a start, the object of both games is to capture Pokemon. However, you’ll be doing this in Pokemon Dream Radar with the 3DS’ camera instead of using your phone. 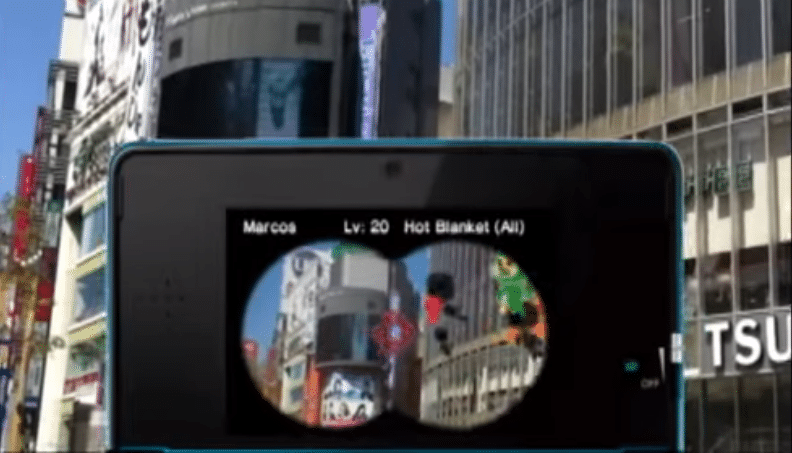 The game also has the same AR element to Pokemon GO, crafting its gameplay almost entirely around the tech. Why it’s Different: There’s no GPS signals being tracked, so you’ll be ‘catching ’em all’ within a much smaller geographical area (e.g. your room, your house, a small park, etc.). Being a 3DS exclusive, Pokemon Dream Radar also isn’t available on phones. However, this actually works in its favor as the game is thus able to directly interact with other ‘full’ Pokemon games – namely Pokemon Black and Pokemon White – with proper import features available. Overall: If your favorite part of Pokemon GO is pointing your camera at monsters and capturing them, then Pokemon Dream Radar is a great substitute with plenty of franchise-rich features to enjoy. Read more honest player reviews of Pokemon Dream Radar. Why it’s Similar: Another 3DS game that shares a lot in common with Pokemon GO is The “Denpa” Men. Similar to many augmented reality games like Pokemon GO, you’ll be tasked with finding, battling, and capturing weird creatures that are hiding in the real world. Why it’s Different: Unlike Pokemon GO’s ability to read your GPS location, The “Denpa” Men relies on you being near different WiFi hotspots which help guide you around. When the 3DS picks up these signals, random “Denpa” Men are generated and you need to use the AR mode to defeat them. Overall: This is really quite a unique game that was sorely overlooked by the masses, The “Denpa” Men actually comes with features that Pokemon GO has yet to thoroughly implement: dungeons to explore, robust creature trading, a rich single-player campaign, etc. Definitely worth checking out! Read more honest player reviews of The “Denpa” Men: They Came By Wave. Why it’s Similar: Invizimals is pretty much Sony’s early attempt to create augmented reality games like Pokemon GO. It sees you using the Vita’s camera to capture creatures via intense battles, much like you do in Pokemon GO. 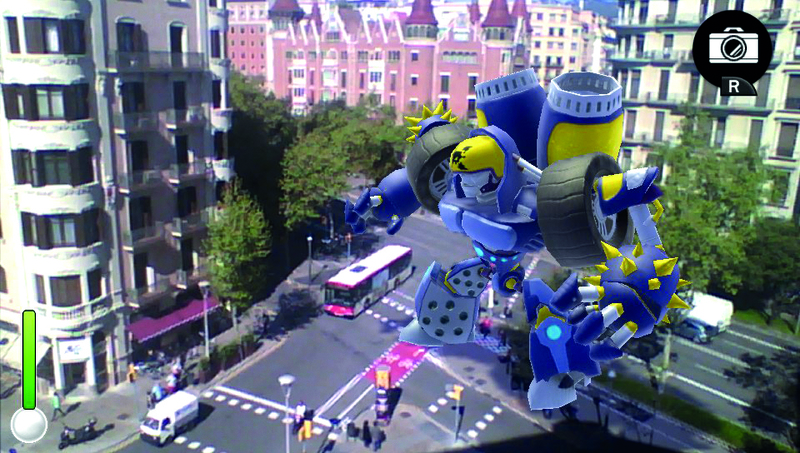 Why it’s Different: The game’s AR tech relies on color rather than location. For example, rather than asking you to walk near a body of water to capture a water-based creature, Invizimals will ask you to point your camera at something blue. Admittedly, this opens the game up to a bit of cheating – though this detracts very little from the tons of fun you’ll be having. Overall: Invizimals: The Resistance has all of the charm of Pokemon GO. The color-based combat offers something different to what you’d normally get in Pokemon GO. 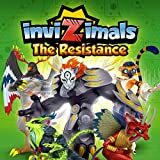 Read more honest player reviews of Invizimals: The Resistance. Why it’s Similar: Geocaching is a lot like many games like Pokemon GO in the sense that you’re on a hunt. A hunt for what exactly? Well, you won’t know what you’re getting until you get it. 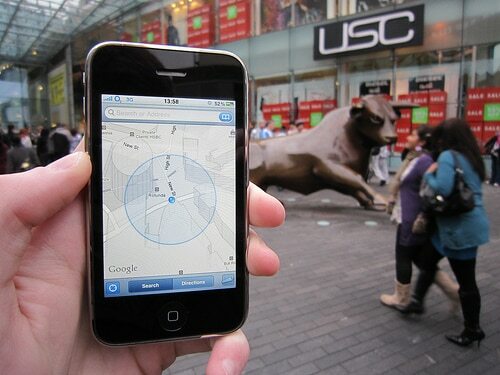 Geocaching will give you a GPS location that you need to make your way to. 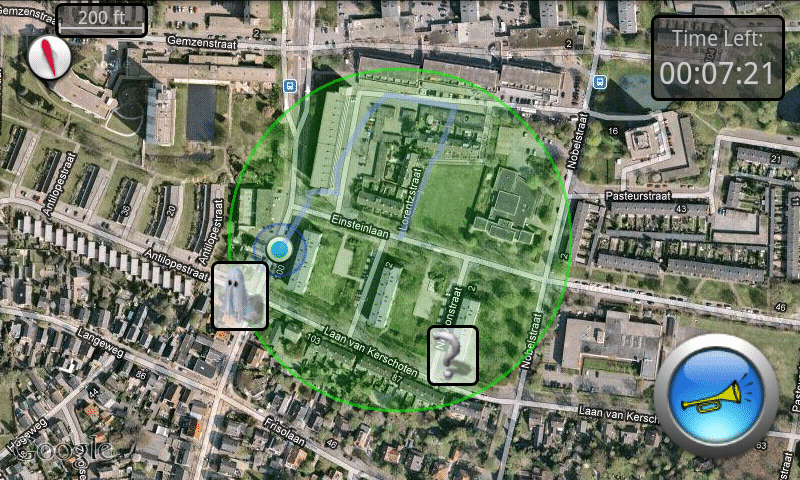 The app doesn’t give you a precise location, more of a radius. It’s then up to you to find the Geocache, which can be a hidden box full of someone’s old toot or even a USB stick full of random .txt files. Your guess is as good as ours! Why it’s Different: Geocaching isn’t a real ‘game’ per se. Think of it more as an app for loot-loving adventurers. People all over the world are leaving these actual physical (not virtual!) Geocaches for others to find. The beauty of it all is that you never know what’s going to be inside each cache. A good Geocacher will then replace the contents they find with something of their own. An action figure, a gift card, a nice knitted scarf? It’s up to you. Overall: Like Pokemon GO, Geocaching offers you the thrill of hunting and discovery – with the added joy of actually being able to uncover real-life treasures. Join the craze today! Read more honest player reviews of Geocaching. Why it’s Similar: Similar to Pokemon GO, Clandestine Anomaly contains both AR battles and GPS based gameplay. You’re essentially battling aliens that are attacking the Earth, requiring you to whip out your phone to shoot them down. Why it’s Different: Clandestine Anomaly is more action-heavy than Pokemon GO. 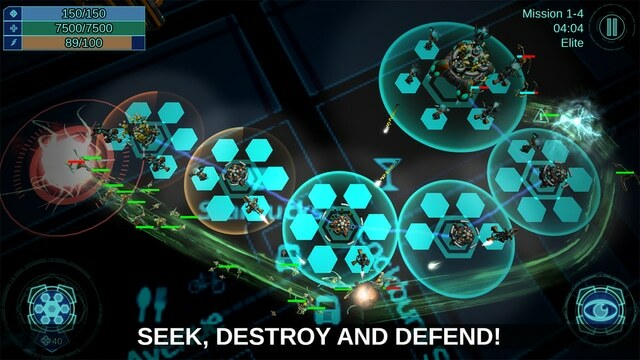 It’s all about firing at enemies and upgrading your laser beams to unlock more powerful projectile tech. The game also features a fairly fleshed out narrative that’s actually pretty intriguing and will keep you hooked for hours.. Overall: Clandestine Anomaly is the ideal game for you if you’d rather hunt down mean aliens instead of cute monsters, An engaging single-player mode will also keep less sociable players entertained on their own terms. A must-try for those searching for more GPS / augmented reality games like Pokemon GO! Read more honest player reviews of Clandestine Anomaly. Did we miss out any GPS / augmented reality games like Pokemon GO? Leave your suggestions in the comments section below and we’ll include them! augmented reality games best VR games games like Clandestine Anomaly games like Ingress games like Invizimals Games Like List games like Pokemon GO games like Zombies Run! Nice list but lacked up Night Terrors.